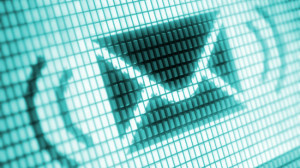 Most email services do provide a secure encrypted connection between senders and email servers, and email servers and receivers. However, all this is no good if the email service is simply handing over your information to a third party (as Google and Microsoft have been doing with the NSA). Following suit just hours later, Silent Circle pre-emptively did the same to their Silent Mail in anticipation of the same conundrum. Their other 3 services for phone, video chat, and text are still available though. Here’s an excellent rundown by TechCrunch. This was quickly followed by the shutdown of Freedom Hosting and Tormail with Lavabit’s shutdown in particular left a lot of users stunned and majorly inconvenienced to say the least, leading many to scramble for new alternatives. A no frills open source and privacy minded service. For encryption you’ll need to use PGP with Thunderbird or similar. Another no frills service. Subscribing is free and anonymous. 1Gb storage, so they strongly suggest using an email client to store more than that. Agan, any encryption would need to be done locally with a client. This service was mentioned a lot today and while a bit offbeat, sounds like it could be a good way to go especially for just a personal email box. Donation based pick-your-own-price model – donate a small amount for an email account, or donate more for a website, blog, VPN, etc. Unlimited space, but they ask it not be abused. Not for commercial, organized religion, or organized political party use. Looks like a fantastic and pretty full featured private email solution. Based in an obviously great location for privacy too. Email address and unlimited thowaway addresses included. Use your own domain for an extra one time setup fee. Built-in encryption and many other features. Norway has maintained a pretty strong position lately in terms of privacy laws. Some EU directives are being shoved down their throats of course, but enough gaps still exist for services like this to offer very strong privacy protection. This looks like another outstanding service, especially if you have your own domain or multiple domains for business. They have an excellent and easily understood overview of privacy in both Norway and how it applies specifically to their service. Seems like a pretty robust and full featured offering. A bit pricey though and we noticed a couple people on Reddit wondering about Sweden’s increasing capitulation to US demands over the past few years. Email address and multiple aliases included; can also use your own domain for an extra setup fee. With Neomailbox, RunBox, and Countermail, you have the option to use your own domain. If you go that route, just grab a cheap domain through a privacy-conscious registrar. Two we’d suggest are Internetbs (Bahamas) and NameCheap (US). There’s also Gandi.net (France), only thing is they only offer a partially private whois registration. Still in beta, but this sounds really promising. It’s from the creators of the privacy search engine StartPage. It’s not open for use yet, but you can sign up to either become a Beta Tester or just get on their list for the latest updates. Great client-side email project to support and use. Go Iceland! Developed by researchers at CERN in direct response to the Snowden revelations this could be the future of secure email. The data is encrypted on the browser and then a two password system ensures there is no way anyone can access email content. Still in Beta and currently closed to new signups but that should change very soon. These are all we know about so far that look decent or are at least somewhat usable. If you know of more or have any other suggestions, chime in below in the comments. End-to-end encrypted email, IM and file storage. Peerio generates a user’s private encryption key from his or her unique passphrase every time he or she logs in. No-one at Perio can access your files and messages.